Are you a proud owner of Nexus 4, but suffering with it because of its Over heating and faster battery drain issue ?? You might be happy to hear this? New batch of Nexus 4 has the issue fixed and it works like charm for over 22hours and more. 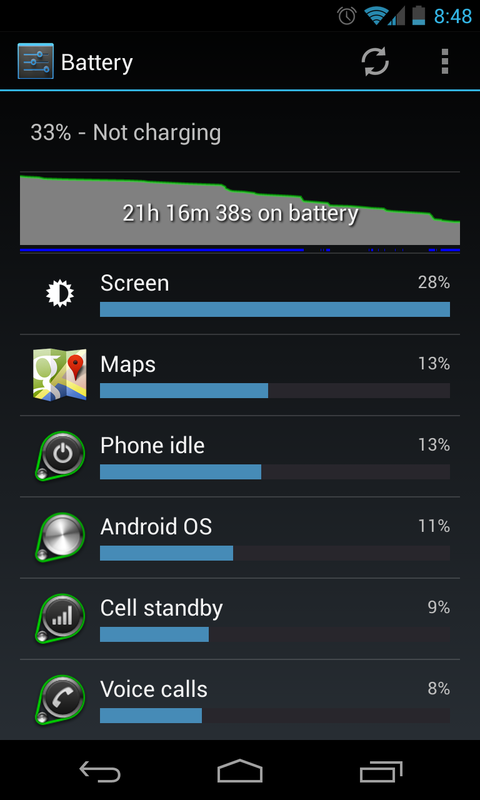 You have a chance to get the best battery backup on your Nexus 4 as well. Nexus 4 from Google is the super duper Smart Phone in par with the latest Samsung S4 with 4.7 inch IPS screen, Gorilla Glass 2, 2GB RAM, 8/16 GB internal storage, Qualcomm Snapdragon S4 pro Quad core CPU, and the latest ever Android OS ver 4.2. 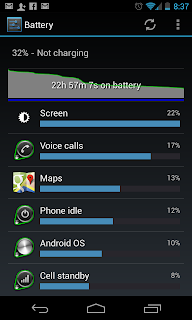 But the only and irritating problem with Nexus 4 was Over heating and quicker battery Drain issue. 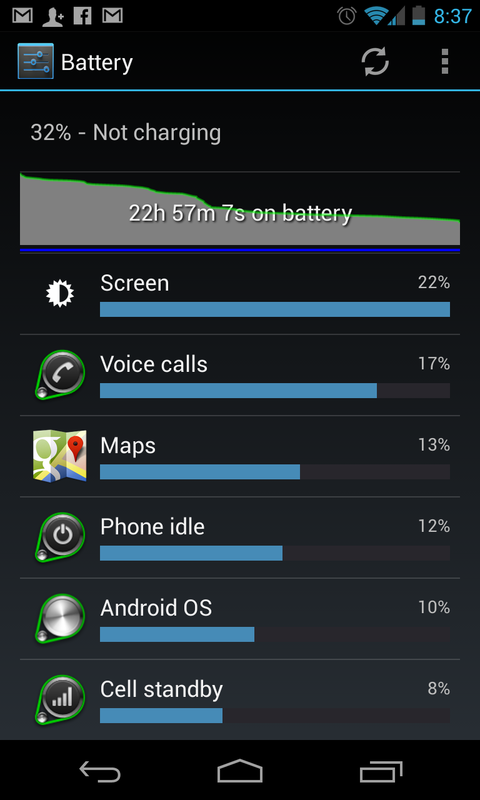 It was expected that Android 4.2.2 could fix Battery Drain issue completely, but it didnt actually. But I have find out something interesting is that the recent Nexus 4 which Google ships doesn't have both the Over heating issue and battery Drain issue. Looks like there was a fix went in on the hardware side which has drastically improved the over heating. I ordered two Nexus 4 on "" which came pre loaded with Android 4.2.1 and I ran into the over heating and battery drain issue. Both the Nexus 4 didn't even last for 8 hours with my regular configuration of Wifi, 3G, GPS switched ON, with usage of Navigation for almost 1 hour, Music for 1 Hour, and very frequent email, Google+, Facebook checking along with casual browsing. Android 4.2.2 update came and it didn't help me either greatly, still I was facing the same issue.I decided to check with the Customer Care executives and see whats their response. I was asked about the purchase date and issue, I mentioned about the over heating issue and battery drain issue. They immediately recommended for RMA, I got my Nexus 4 RMAed and got a new one. To my surprise battery backup was excellent on my New Nexus 4, it was up and running fine for almost 22-23 hours, no heating at all in most of the time, except slight heating during the Navigation (During Navigation little heating is expected in any Smart Phone) and I didn't change my usage pattern. Infact I stressed little more for first few days to check if it really works and the result was amazing. There has been a design change on the Nexus 4, which has drastically improved the situation. 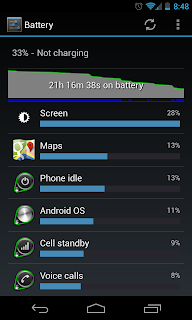 I have confirmed the same with some of my friends who has bought Nexus 4 on the recent days and they are not seeing these issues and battery performances matches with my new Nexus 4. If you are a Nexus 4 Owner and facing the over heating and battery drain issue, I strongly recommend to check with the Google Play Customer care executive to see if you can get your device replaced. Please leave your comments below if you or your friends has good performance on the recent Nexus 4.